OMG, I have the most beautiful cover! 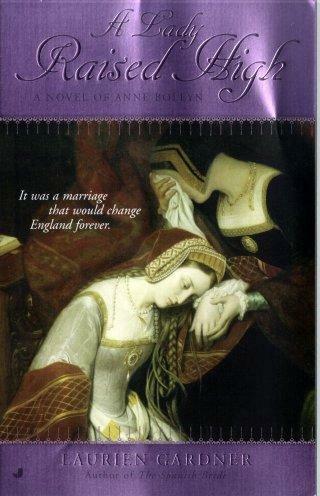 This is for A Lady Raised High: A Novel of Anne Boleyn by Laurien Gardner. I got it today and started to cry. The picture is from a scene in the book (Anne and the heroine, Frances). Pub date is March. The first book in the series should be hitting the shelves within a week. Oh wow, that is a absolutely gorgeous cover! Jennifer, what a stunningly beautiful cover! It would stop me in my tracks if I saw it in a book store (which I soon will). Congrats! Thanks you all. I love it. It makes the pain of writing that book worht it. That is beautiful. I can't wait to read it.